On 28 January 2016, the midday LBMA Silver Price auction took 29 rounds to establish a final price of US$13.58 which was manipulated down by a whopping 6% below where silver spot and futures prices were trading at that time. This auction fiasco and price manipulation has caused deep concern among silver benchmark price users as well as consternation among the Gang of Three companies which own/administer/operate the LBMA Silver Price, namely the London Bullion Market Association, Thomson Reuters Benchmark Services, and CME Group. 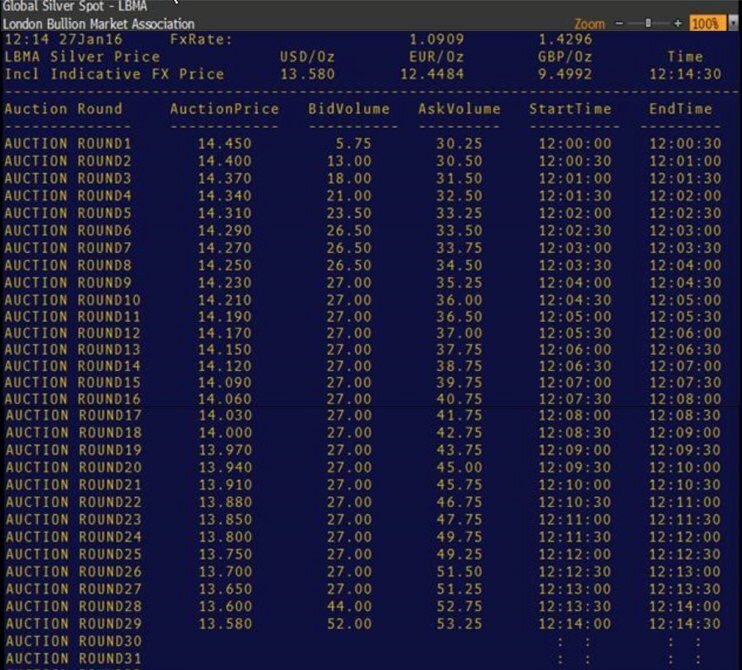 Notice in the following financial data distribution screenshot (taken from a US terminal) of the entire set of rounds in the LBMA’s distribution of the Silver Price auction results that day, that a trading entity was progressively increasing the Ask (Sell) volume between each round, thereby causing the auction algorithm to continual try lower opening prices each round, because the Bid volume was not increasing by enough to meet the tolerance threshold between bid and ask volume (i.e. the imbalance was too great). Notwithstanding the possibility that collectively no participants or other traders felt the desire to arbitrage this price anomaly during the auction, it appears that someone was turning up the sell volume as the price went lower every 30 seconds for at least 14 minutes between midday and 12:15pm that day. LONDON, February 4, 2016 – Thomson Reuters and CME Group with the agreement of the LBMA and the independent LBMA Silver Price Oversight Committee today announce a package of measures to further develop the silver benchmark. 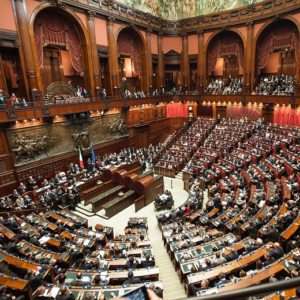 In addition to its regular meetings, the Committee has held two extraordinary meetings since the auction on Thursday January 28, 2016 and has been working with the benchmark administrator (Thomson Reuters) and calculator (CME Group) to address concerns. 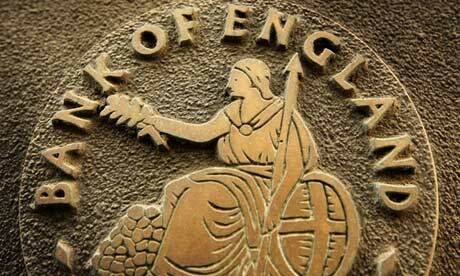 The regulatory authority, the Financial Conduct Authority, has been kept fully informed. At the meeting, the Committee endorsed an intervention protocol agreed by the administrator and calculator to suspend an auction if they believe the integrity of the auction or participants is threatened. This protocol has been in place since Friday January 29, 2016. All participants and the FCA have been informed of its implementation. The Committee, Thomson Reuters and CME Group will present details of the measures to participants, their clients and the Financial Conduct Authority for discussion and implementation at the earliest opportunity. These include: a blind auction, where only prices and not volumes are disclosed to participants until after the auction has closed; increasing the settlement tolerance where necessary to maintain the integrity of the auction; change the structure for sharing the differential to encourage full participation; and a package of measures to increase participation in the benchmark process and to encourage non-banks’ participation. In addition we look at the viability of introducing centralized clearing of all auction trades, to make the process easier and less capital-intensive for participants. The LBMA Silver Price is calculated daily on a transparent electronic auction platform operated by the CME Group; Thomson Reuters is responsible for administration. The above statement from Thomson Reuters, CME Group and the Oversight Committee is, in my view, misleading from a number of perspectives. As you will see below, the above statement fails to mention that increased participation in the benchmark auction, as well as non-bank participation in the auction, were promised by Thomson Reuters, the CME Group and the LBMA in July and August 2014, which was before the LBMA Silver Price auction was even launched. The above statement also fails to mention that the introduction of centralized clearing was also promised by Thomson Reuters, CME Group and the LBMA in July and August 2014, again before the LBMA Silver Price auction had even been launched. It is now February 2016, more than 18 months after the LBMA Silver Price was introduced, and here we have Thomson Reuters and the CME Group with the gall to state that they have suddenly formulated plans for wider participation and central clearing, when all along, these plans were actively discussed by the LBMA and CME Group during July and August 2014 as practical mechanisms that were promised to be implemented to address the pricing concerns of the wider silver market community and the spirit of the IOSCO benchmark Principles. Given that the details of wider auction participation and central clearing of silver auction trades were quietly dropped and evidence of said discussion was even actively removed from the websites of CME Group and Thomson Reuters, it is not unreasonable to conclude that various powerful entities representing the London Bullion Market have been doing everything they can to prevent wider participation in the Silver auction, and doing everything they can to prevent central clearing being implemented for Silver auction trades. On Tuesday 29 July 2014, just over two weeks after the CME Group and Thomson Reuters had been awarded the contract to run the LBMA Silver Price auction process, and just over two weeks before the 15 August 2014 auction go-live date, “CME Group Metals Products and OTC Solutions” held a webinar titled the ‘London Silver Price Seminar’. Recall that at that time, the new auction was still being referred to as the ‘London Silver Price’, and not the ‘LBMA Silver Price’. 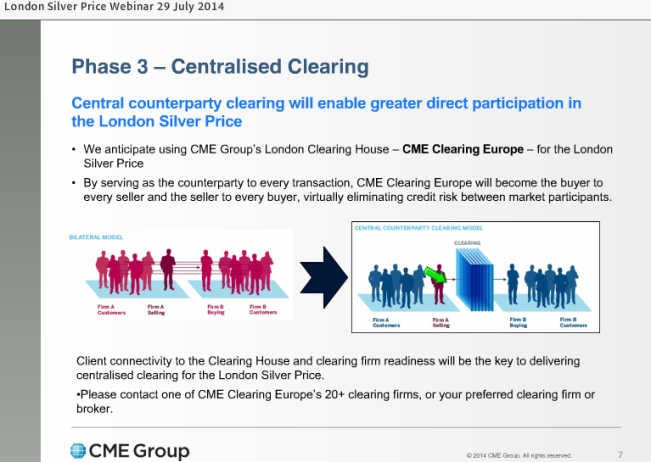 Critically, at various points in the 29 July webinar presentation (38 minutes long), reference was made to the new silver auction eventually using CME Clearing Europe as a central clearing counterparty (CPP) for all trades in the LBMA silver price auction. The webinar consisted of presentations by four CME Group staff, namely, Jack Allen of the CME business team, Michel Evaraert, Head of OTC solutions for CME, Harriet Hunnable, CME’s Global Head of Precious Metals, and Anindya Boral, also of the CME business team. There was also a selection of Q&A from attendees at various points in the webinar. From July 2014 to October 2014, a link to this CME webinar presentation was prominently listed on the CME Group’s LBMA Silver Price web page under the section ‘Additional Resources’, with the description “Our recent webinar covers a range of topics to the new LBMA Silver Price“. The following screenshot from the 9th October 2014 Wayback Machine archive link to the page in question can be seen below, with the Webinar link highlighted. Sometime between October 2014 and early January 2015, but at least before 12th January 2015, the CME’s webinar link had been removed from the ‘Additional Resources’ section of the same webpage. Now, why would such a useful ‘Additional Resources’ link in the form of a webinar covering “a range of topics to the new LBMA Silver Price” suddenly be removed from the website of the LBMA Silver Price calculation agent (CME) just a few shorts months after the new silver fixing auction was launched? Phase 1 was listed as ‘Today (July 29th) till August 15th’, described as ‘Day 1 participation’ and ‘business as usual’. Phase 2 was titled ‘Broader base Participation”, including “Tier 2 participation”. 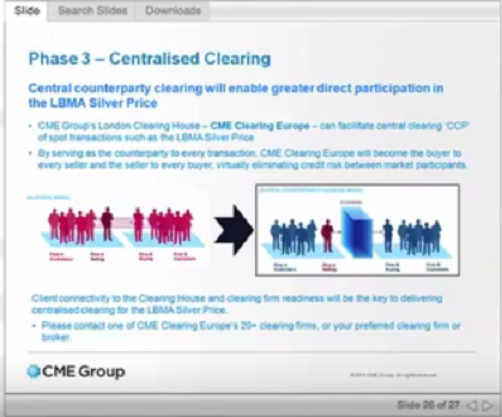 Phase 3 was ‘Extended Participation’, ‘Central Clearing via CME Clearing Europe’, and an ‘on-boarding process’, and also ‘EUR & GBP ability’. “will be talking about what the banks are doing now and other participants can do over time to be part of this new London Silver Price”. “For the corporate and commercial user it will be business as usual. As a commercial user from day 1 please reach out to your correspondent banks and trading counterparties. There will be very little difference to what you previously had and what you’re going to be getting on 15th August”. “Phase 2 we are looking for broader participation. On Day 1 our market makers may not be up and ready really yet. We will be very much again encouraging them to join, as well as suitable bilateral, what I would call, upper echelon banks with a good credit basis”. There then followed a short discussion by Anindya Boral addressing central counterparty clearing through CME Clearing Europe, and a discussion of the slide which follows below. This is a very important slide because a variant of this slide appeared in the Thomson Reuters / CME Group / LBMA webinar presentation on 19 August 2014 (see below), but by then, the reference to CME Clearing Europe in the 19 August version of the same slide had been watered down significantly. “Central counterparty clearing will enable greater direct participation in the London Silver Price”. That slide concluded the CME Group webinar on 29 July. On 17 July 2014, less than a week after the CME Group and Thomson Reuters had won the LBMA silver contract, Jonathan Spall of G Cubed Metals (and formerly of Barclays Capital) appeared in a Thomson Reuters Global Gold Forum webinar session where he was interviewed by Jan Harvey of Thomson Reuters about the new silver auction and associated topics. 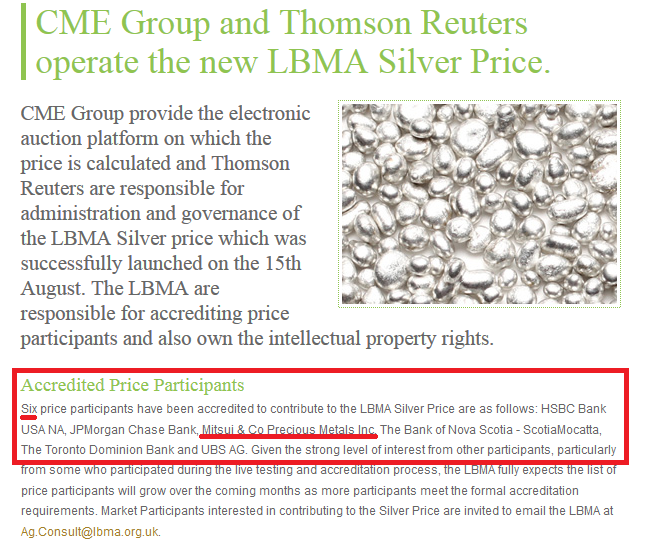 So the review written by Jonathan Spall, the ‘independent consultant’ hired by the LBMA, also supported the choice of CME Group and Thomson Reuters to operate the new LBMA Silver Price auction. The regular Thomson Reuters global gold forum over the Reuters platform is hosted by Reuters journalists, and takes the form of a question and answer session with precious metals industry representatives, often facilitated by Jan Harvey. “There all be parallel testing – so basically during August we can see if the system and software works. But it will not take place at noon. The idea of the auction is that volumes and the number of buyers and sellers will be published unlike now. So you can see that there were 3 buyers and 1 seller perhaps with 3 million ounces of silver taking place the names of the buyers and sellers will not be released though. On Tuesday 19 August 2014, Thomson Reuters hosted two sessions (London morning and afternoon) of a broadcast webinar titled “The New LBMA Silver Price, Greater Transparency, Facilitated by Thomson Reuters, CME Group, and LBMA”. The morning session took place from 9.30am – 10:30am London time. Note that by August 19 2014, the CME’s Phase 1 had by that time passed (i.e. it was after the 15 August 2014 launch date of the LBMA Silver Price). Douglas Pollack, Thomson Reuters Head of Market Development for Commodities in Europe, hosted the webinar. Other speakers included Bernd Sischka, Global Metals Proposition Manager for Thomson Reuters, Ruth Cowell, LBMA CEO, and again, Harriet Hunnable, of CME metals products. Attendees at the 19 August 2014 could post questions to the panel during the webinar to be answered in the Q&A parts of the session. “The third point I will highlight, who can participate in the LBMA Silver Price auction, and highlight the requirements for any new market participants who are looking and aiming to participate in the auction”. 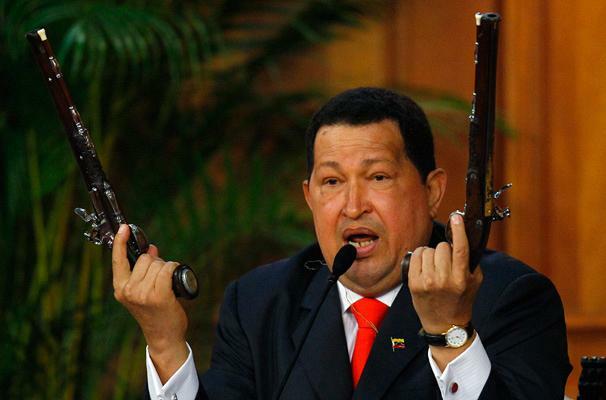 “So who can participate in the LBMS Silver Price auction? There are a number of market participants which have signed up for Day 1 participation and successfully participated in the auction process, but obviously given that this benchmark is meant to provide access for a wider range of market participants, and also increase the transparency and establish the LBMA Silver Price as a widely used benchmark, there obviously are certain ways that other participants who have heard about the new LBMA Silver Price, who can actually fulfill certain criteria for participation. “So I will just briefly highlight what those requirements are. 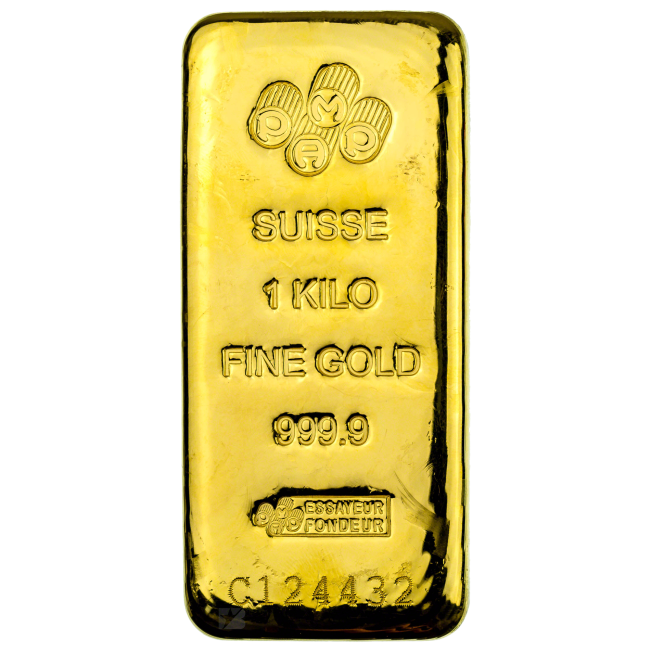 First of all there are certain benchmark criteria which are set out by the LBMA, given that the LBMA is accrediting all the market participants. That is probably one of the key requirements that have to be fulfilled..
“the second key document is a very extensive methodology document which goes into much more detail which was drafted by the CME, LBMA and Thomson Reuters as a joint document”. However, the later discussion in the webinar from Ruth Crowell and Harriet Hunnable did not talk about extended participation until an attendee of the webinar specifically asked a question about it. After the formal presentation completed, there was a Q&A session for the attendees, with the questions submitted via the webinar and read out by Douglas Pollack. It appears to me that there was a reluctance of the presenters to talk about London Precious Metals Clearing Limited (listen to the webinar to see what I mean). “Why have some participants refused to take others from a lot of semi-pros for the new LBMA Silver Price? “What we want to see is more direct participation. If you’re an institution who should be directly involved or able to have the controls, because you’re participating in another benchmark, the market would like to see those people there as well, which is why a lot of the traditional players have said we will not take your orders. We don’t want to have just the liability on ourselves, we want everyone to put direct participation in, so it stops being only a few institutions. I think the above spin speaks for itself. No comment necessary. But I advise readers and especially journalists to listen to the 2 webinars above, and to begin asking proper questions to the LBMA, to Thomson Reuters, and to the CME Group. “Phase II will bring more participants, possibly including trading houses, large refiners and producers, according to the CME, which expects to see “a big jump in terms of who can take part.” Those who seldom trade or can’t meet the LBMA criteria may do business through a broker or banker. Wider participation will further enhance transparency says Harriet Hunnable, CME head of precious metals”. There was also a Q&A session at the second August 19 webinar and the Resource Clips web site covered some of the Q&A topics. The questions chosen to be answered in the second webinar were far less challenging than those in the morning webinar session, and, according to Resource Clips, covered topics such as regulation of the auction, purpose of the algorithm, reason for having a minimum 100,000 ounce lot size and ‘physical’ delivery. Some journalists, such as in Platts, have admittedly now begun to ask the pertinent questions. But the ‘Gang of 3’ entities that should be answering the questions are refusing to do so. 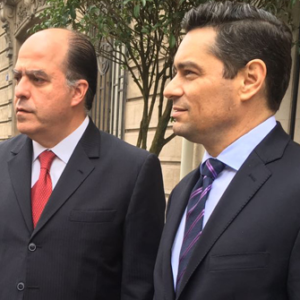 “The LBMA, which does not participate in daily operations, declined to comment on the matter. The above bereft LBMA update does not even acknowledge that the LBMA owns the intellectual property rights to LBMA Silver Price (as well as similar ownership rights to the LBMA Gold Price). The LBMA registered the Trademarks for both the LBMA Silver Price and the LBMA Gold Price on the same day, August 15 2014. See LBMA Silver Price Trademark and LBMA Gold Price Trademark. 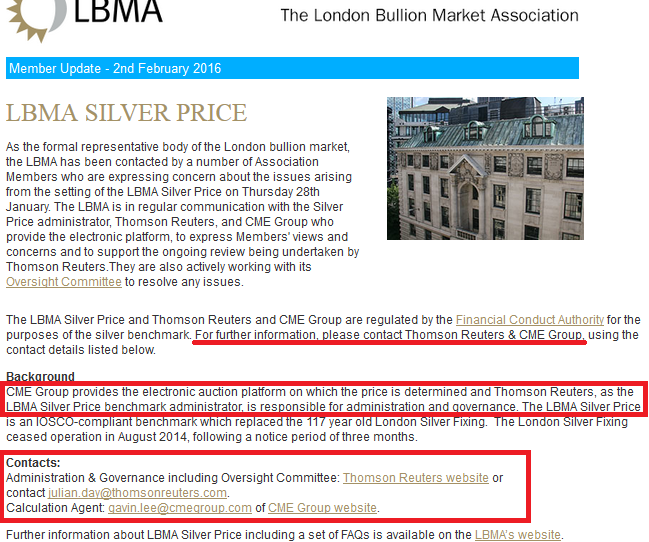 The LBMA also updated its website after 28 January 2016 by adding an entire ‘Governance and Oversight’ section near the top of its LBMA Silver Price description page pinning the responsibility on Thomson Reuters and the CME Group. The first screenshot is from a Google cache imprint on 28 January 2016. This cache has now updated but a Wayback Machine imprint with the same information from 22 September 2015 shows the same imprint. 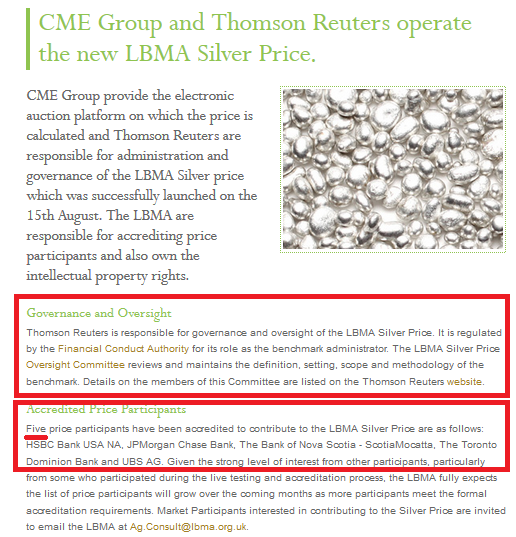 The second current version of this LBMA Silver Price web page shows the hastily added ‘Governance and Oversight’ paragraph, with similar text to that which appeared in the LBMA’s arms-length email stunt using createsend.com. In the above 2 screenshots, you will notice that the ‘Accredited Price Participants’ paragraph has also been highlighted. It was only after the 28 January 2016 silver price fiasco auction that the LBMA suddenly changed its text and pulled Mitsui and Co Precious Metals Inc from the list of 6 participants of the LBMA Silver Price. Why were there 6 participants accredited on 28 January, but only 5 participants accredited on 29 January? And why was Mitsui still listed as a silver auction participant when it was reported in October 2015 to be “shutting down precious in London and New York in December” according to Reuters “Mitsui to shut precious metals business in London, New York-sources“. “The [silver] price is set every day by six participants – HSBC, JPMorgan Chase Bank, Mitsui & Co Precious Metals, The Bank of Nova Scotia, Toronto Dominion Bank and UBS – using a system run by CME and Thomson Reuters“. 1.5 Participants considering withdrawing from the LBMA Silver Price Benchmark auction process must endeavor to provide Thomson Reuters with at least one calendar month’s notice in order to protect the continuation of the Benchmark. On launch day in August 2014, the LBMA trumpeted the addition of Mitsui to the LBMA Silver Price but has now reverted to very quietly amending its website when Mitsui has departed. The new LBMA Silver Price was launched on 15 August 2014, administered by Thomson Reuters, with CME Group as auction calculation agent. 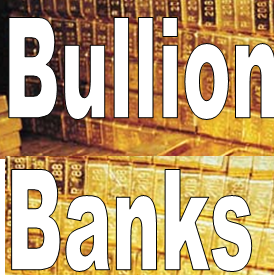 On launch day there were only 3 direct participants, Bank of Nova Scotia (Scotia Mocatta), HSBC Bank USA NA, and the now infamous Mitsui & Co Precious Metals Inc. HSBC and Scotia had been existing members of the London Silver Market Fixing Limited company, in conjunction with Deutsche Bank. 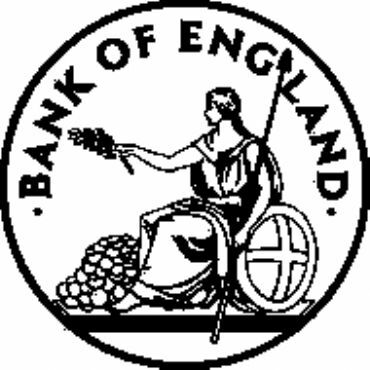 On 15 August 2014, the LBMA claimed that it “fully expects the list of price participants will grow over the coming weeks” and that “these participants include banks, trading houses, refiners and producers”. This growth of participants, as readers will be aware, never happened. Scandalously, only 3 further participants ever joined the LBMA Silver Price auction, and these 3 participants were all banks which had representatives on the 10 person LBMA Management Committee. UBS joined the Silver auction on 26 September 2014, JP Morgan Chase Bank joined the Silver auction on 14 October 2014, and The Toronto Dominion Bank signed up to the auction on 6 November 2014. During that time, the 10 person LBMA Management Committee of the LBMA included Steven Lowe of Bank of Nova Scotia-ScotiaMocatta (Vice-Chairman), Peter Drabwell of HSBC Bank USA NA, Kevin Roberts of JP Morgan Chase Bank, Philip Aubertin of UBS AG, Robert Davis of Toronto Dominion Bank, and Anne Dennison of Mitsui. The chances of the only 6 participants ever to join the LBMA Silver Price auction being 6 of the 8 banks which were represented on the LBMA Management Committee when they signed up, is infinitely small. On August 15, a document titled “Commodities Benchmark Methodologies: LBMA Silver Price” was published under the name of Thomson Reuters, the administrator of the new LBMA Silver Price benchmark. Some of this was covered in a section of the BullionStar blog post “Chinese Banks as direct participants in the new LBMA Gold and Silver Price auctions? Not so fast!“, but is critical here to understand which entities can and can’t participate in the Silver auction. 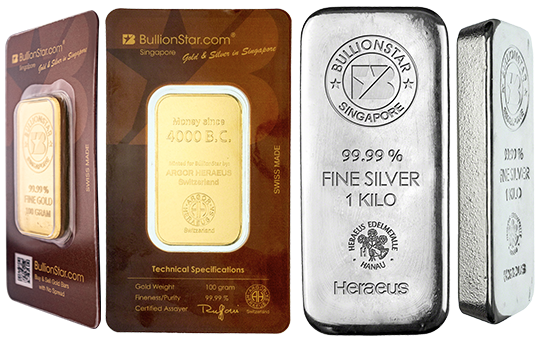 This Silver Price methodology guide was jointly written by the LBMA, Thomson Reuters, and the CME Group and discusses the methodology that the three groups have established for the silver price benchmark, including the criteria that qualifies an applicant to be authorised as a silver auction participant. participate in the auction market place. The participant also needs to have a Loco London Clearing account. There is no reference in the Thomson Reuters document to the phrase to the concept of ranking participants based on ‘credit ratings’ or ‘credit scores’ as Jack Allen of CME stated in the CME webinar when he said “LBMA Market Makers with consistent and constant bilateral credit facilities“. Note that all of the market-making members of the LBMA already meet the LBMA’s benchmark participant criteria and just need to receive formal LBMA authorisation and sign up to the CME’s platform and participation requirements. Thomson Reuters’ participation criteria refer to the fact that “all participants are required to adopt the LBMA Silver Price Participant Code of Conduct”. This is addressed in a section titled “Benchmark Participant Codes of Conduct”. The CME Benchmark Europe Ltd also has requirements which participants must adhere to. These requirements relate to the use of the technology platform and to participating in the auction. One participation requirement cited in the document is “in respect of credit arrangements”. These credit arrangement refer to the bi-lateral credit lines between the participating bank in the auction. According to the methodology guide, the auction platform also has a credit screener built-in which ensures “that an order entered by a participant will not result in that participant exceeding their pre-set credit limit”. Auction participants also need to sign the CME Benchmark Europe Ltd Participation Agreement. The most obvious limitation of the LBMA participant criteria is that auction participants are required to be Full Members of the LBMA, and so the auction is not representative of the global Silver Market. The IOSCO benchmark principles state that a benchmark should be a reliable representation of interest, i.e. that it should be representative of the market it is trying to measure. Interest is measured on metrics such as market concentration. In the Thomson Reuters methodology document, on page 11 under benchmark design principles, the authors estimate that there are 500-1000 active trading entities in the global silver market. Yet there are only 75 full members of the LBMA, 61 of which are Ordinary members, and some of these ordinary members are just logistical and infrastructure type entities. 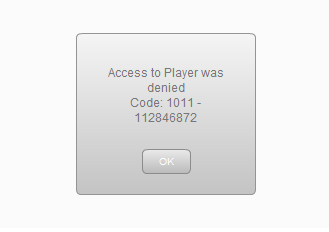 Even the 66 Associates and 9 affiliates of the LBMA cannot even apply to participate directly in the Silver auction. 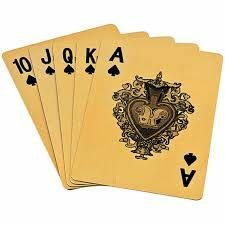 Therefore, due to the strict auction participant criteria, a handful of LBMA market-makers are being assigned to globally represent the 500-1000 active trading entities. The Methodology document also foresaw 15 spot market makers in the auction. Where too are these 15 spot market makers? The IOSCO benchmark design principles, page 11, also recommend measuring a metric called “relative size of the underlying market in relation to the volume of trading (the volume of trading that is being used to form the benchmark)”. The Thomson Reuters methodology document admits that “volumes in the LBMA Silver Price are a fraction of the daily volume traded in the silver futures and OTC markets”. The first day of the LBMA Silver Price auction only saw a net 525,000 ounces of silver offered and a net 325,000 ounces bid. Since the CME group and Thomson Reuters don’t provide any other volume data beyond this net data, on face value this looks like a miniscule amount of silver compared to global daily silver trading, and it not representative of anything in particular. Net auction volume data is not useful without the pyramid of gross trade data that may or may not lie underneath it. 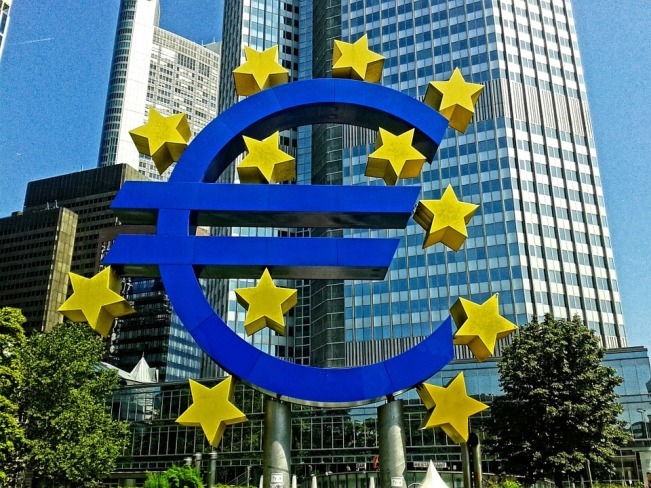 Finally, since this article started with the Statement jointly issued by Thomson Reuters, CME Europe and the ‘Independent’ Silver Price Oversight Committee, let’s look at what exactly these 3 entities are. The new LBMA Silver Price is therefore being ‘run’ by a combination of three entities, namely, the LBMA, CME Group and Thomson Reuters, but more specifically, the LBMA, CME Benchmark Europe Ltd. (“CMEBEL”), and Thomson Reuters Benchmark Services Ltd. (“TRBSL”). LBMA Silver Price (“Benchmark”) is owned by The London Bullion Market Association (“LBMA”), calculated by CME Benchmark Europe Ltd. (“CMEBEL”) and administered by Thomson Reuters Benchmark Services Ltd. (“TRBSL”). So who are CEMBEL and TRBSL? The administrator of the LBMA Silver Price process is a freshly established subsidiary of Thomson Reuters called “Thomson Reuters Benchmark Services Limited” (TRBSL). Thomson Reuters Benchmark Services Limited is a private limited company, company number 08541574 which was incorporated on May 25, 2013, but only really ‘launched’ in March 2014. TRBSL has a registered address of “The Thomson Reuters Building, 30 South Colonnade, Canary Wharf, London E14 5EP”. Initially the directors appointed to TRBSL were legal and compliance staff from Thomson Reuters including David Mitchley, Global Compliance Controller. From October 2013 onwards these directors were replaced by other directors from Thomson Reuters, namely Peter Moss, Head of Trading, Mark Beaumont, Global head of Treasury, John Cooley, Global Head of Indexes and Reference Rates, and Philip Wellard, Head of Transaction Services. TRBSL was then publicly launched in March 2014 via various press releases. Philip Wellard resigned from TRBSL in May 2014. Mark Beaumont was a director of TRBSL all the way through the LBMA consultation and selection process but then dropped off the director list on July 17 2014, a few days after the LBMA had selected Thomson Reuters to administer the auction. 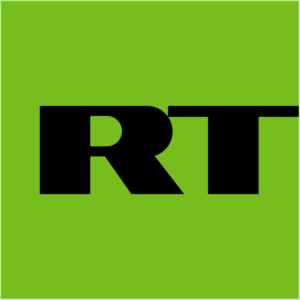 On July 17 2014, another Thomson Reuters executive, Stephen Turner, Global head of Planning and Deployment, Real Time Technology, was appointed as a director of TRBSL. 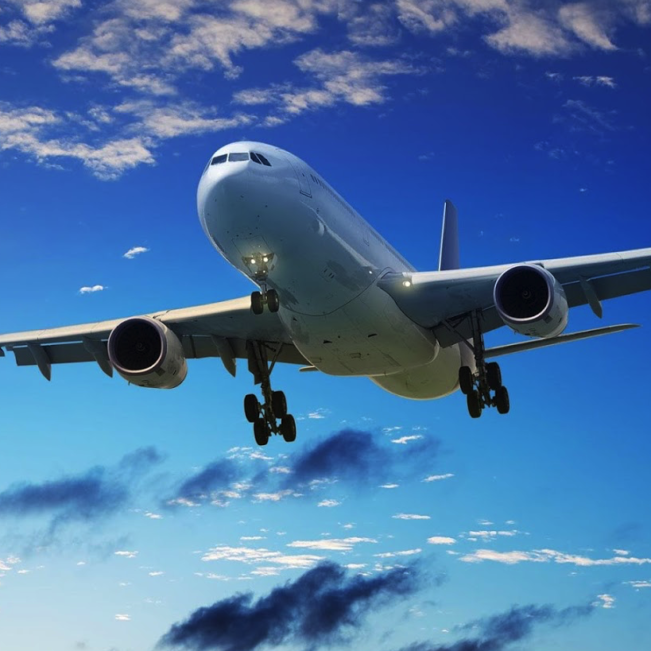 Julian Day, Global Head of Fixing Operations at Thomson Reuters was appointed to TRBSL in October 2014, Peter Moss dropped off in March 2015, Tobius Sproehnle, Global head of Benchmark Services at Thomson Reuters was appointed to TRBSL in June 2015, and interestingly, the company’s Auditor resigned on 1 October 2015. Why would the auditor have resigned? Thomson Reuters established TRBSL so as to have a separately governed and registered entity to provide benchmark services. This was partially done for compliance reasons in light of regulatory guidance and client expectations in the wake of the LIBOR scandal, when regulators took action against some of the banks that contributed to BBA LIBOR. TRBSL is now regulated by the FCA. 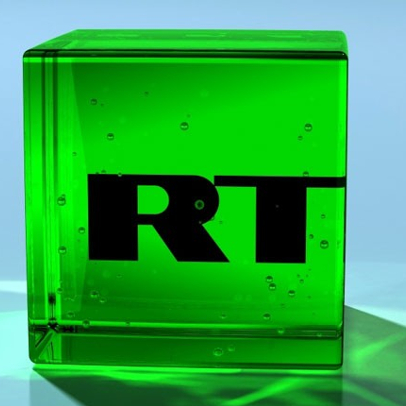 LIBOR had been administered by BBA LIBOR Ltd and calculated and published by Thomson Reuters. John Ewan (see below), a director of BBA LIBOR Ltd, left BBA LIBOR Ltd in 2012 and joined Thomson Reuters as Head of Fixings Business Development, and worked with Mark Beaumont on promoting the benchmark calculation and publication services of Thomson Reuters (see below). Ultimately, the senior people listed above are responsible for the LBMA Silver Price given that they are directors of TRBSL. Note that LIBOR is now a regulated benchmark and regulated by the FCA since April 2015. ICE Benchmark Administration is the administrator of ICE LIBOR and also oversees the methodology and calculation process of this benchmark. CME Benchmark Europe Ltd is a newly incorporated legal entity, purely set up for the LBMA Silver Price. CME Benchmark Europe Ltd (CMEBEL) is a private limited company, company number 09165067, which was only incorporated on 6 August 2014, a week before the new LBMA Silver Price auction went live. On 6 August 2014, CEMBEL had a registered address of “3 More London Riverside, London SE1 2AQ”, which is the same address as law firm Norton Rose LLP, located near London Bridge Station. The secretary of the company is “Norose Company Secretarial Services Limited”, also of 3 More London Riverside, London SE1 2AQ. 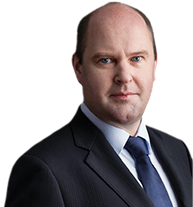 Norton Rose acts as outside legal counsel for CME Europe. On 6 August 2014, the sole director of the company was Clive Weston, 3 More London Riverside, London SE1 2AQ. Clive Weston is listed with an occupation of company secretary. On 7 August 2014, the registered office of CME Benchmark Europe Ltd was re-registered to 4th Floor, One New Change, London EC4M 9AF, which is CME’s London headquarters office. On 1 October 2014, two Appointment of Director forms were filed with Companies House on behalf of CMEBEL, appointing two CME employees as directors of CMEBEL. These forms were backdated to 6 August 2014. So, technically, the CME auction was being run for over six weeks by a company that had only one director and this director was a company secretary employed by law firm Norton Rose, who was not a direct employee of the CME Group. The forms filed on 1 October 2014 appointed William Knottenbelt and Adrienne Seaman as directors of CMEBEL. William Knottenbelt is CEO of CME Europe. Adrienne Seaman is CME Group associate general counsel for EMEA. In February 2015, Richard Bodnum, md Tax, Jill Harley, md Corp Fin Services and Harriet Hunnable (Global Head of Precious Metals) were appointed to CMEBEL, with Bodnum and Harley both stepping down as directors in June 2015, after which Thomas Krabbe, director of Corporate Finance and Development and Julie Winkler, md Research, Product Development, were appointed as directors the same month, and Gavin Lee was appointed as a director in September 2015. On 11 December 2015, Harriet Hunnable’s directorship of CMEBEl was terminated, since she left the CME Group at that time. CME Europe Benchmark Limited performs the roles of ‘auction platform operator’ and ‘calculation agent’ for the LBAM Silver Price. 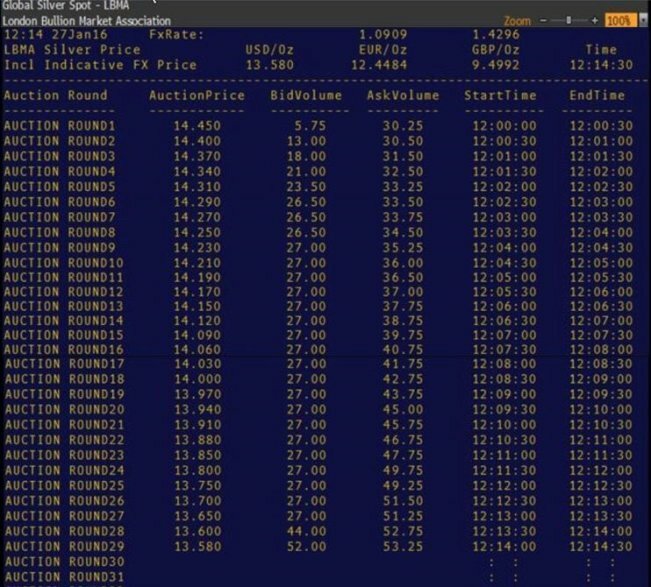 Immediately prior to each daily auction the ‘operator’ performs a calculation on diverse CME market data silver price sources in order to establish an opening or seed price that starts the whole auction process. CME Direct is used as the auction platform. This is an electronic trading platform for trading OTC and exchange traded markets. According to Thomson Reuters, “the calculation agent is a legal entity with delegated responsibility for determining a benchmark through the application of a formula….with the methodology set out by the administrator”. CME Europe Benchmark Limited also has an ‘Auctions Market Team’. This team is part of the CME Global Command Center (GCC) some of whom are located in the CME’s London office at One New Change in the City of London. Additionally, according to the LBMA Silver Price methodology paper “CME Benchmark Europe Ltd will conduct limited monitoring of live auction activity for suspicious bids, offers, or trades.” As to why this monitoring of live auction activity is limited and not constant is not addressed by the administrator, Thomson Reuters. You may recall that the statement on the LBMA Silver Price issued on 4 February was issued by Thomson Reuters, the CME Group and “the independent Silver Price Oversight Committee”. Who and what is this independent committee? In March 2015, I asked Thomson Reuters by email as to who was on this committee. 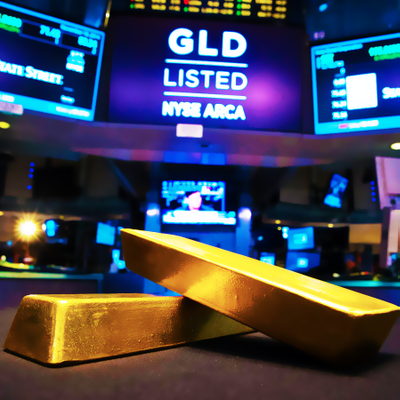 The question was precipitated by the fact that the LBMA Gold Price, administered by ICE Benchmark Administration (IBA) had just launched the LBMA Gold Price (on 20 March 2015) and had appointed its Oversight Committee. 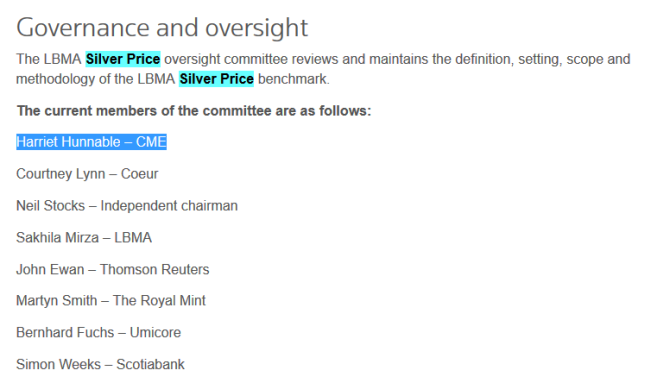 The Silver Price methodology guide had referred to a LBMA Silver Price Oversight Committee, but it did not explain who was on such as committee or whether it actually existed in practice. This list had still not been published on the Thomson Reuters website by September 2015, as this Archive (Wayback) link makes clear. So 6 months after Thomson Reuters said they would release the list ‘in due course’ it still wasn’t on the website. The list was eventually published sometime between September and December 2015. Where does Hunnable’s departure from CME leave all of the improvements of wider participation and central clearing for the LBMA Silver Price that she promised the attendees during those 2 webinars in July and August 2014? You can see a Bing cache of this page from 24 January 2016 here. Bing sometimes has its uses. It was only after the suspect price auction on 28 January that the named CME representative was amended on the list from Harriet Hunnable to Gavin Lee, suggesting that no one even noticed the out of date information until Thomson Reuters realised that there were lots of eyes looking for this list. Importantly, there are NO published minutes of ANY meetings held by this LBMA Silver Price Oversight Committee, ever. 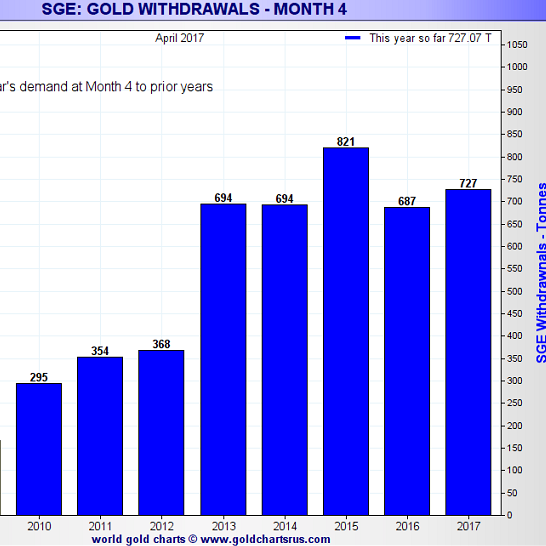 Contrast that to the LBMA Gold Price Oversight Committee which has published minutes of 6 of its meetings since 27 February 2015. So, where are the minutes for these meeting and for any of the ‘regular’ meetings, which obviously hadn’t taken place at least since Harriet Hunnable left CME Group in early December 2015. Lets look at these 8 individuals on the Silver oversight committee? Hope springs eternal….because with price manipulation in the Silver auction, and Mitsui now departed from the Silver auction, it looks like the evolution of the market is being driven backwards rather than forwards. Even being on the Oversight Committee doesn’t seem to be enough for the LBMA to allow Coeur to become a direct participant in the LBMA Silver Price auction. The “Neil Stocks”, who is “Independent chairman” of this committee, appears to be the Neil Stocks who is global head of compliance at UBS. There can’t be many “Neil Stocks” in London that fit the role of being able to be appointed as chair of a Silver Price oversight committee, but Thomson Reuters doesn’t see fit to ascribe Neil Stocks to any organisation, presumably because that would make him less independent. If it is the Neil Stocks from the infamous precious metals manipulator UBS (that made clear attempts to manipulate the prices of precious metals), than that is not independent since UBS is one of the 5 remaining direct participants in the Silver auction. Sakhila Mirza is the general counsel for the LBMA and a member of the LBMA Gold Price Oversight Committee. Please address any correspondence to either John Ewan, whose contact details are below, or directly to myself. The final 3 committee members are Martyn Smith, bullion development manager at The Royal Mint, Bernhard Fuchs, senior vp at Umicore, Simon Weeks, md at Scotiabank, who is also former chairman of the LBMA, former chairman and director of the London Gold Fixing, former chairman of the London Silver Fixing etc. Conclusion – Can’t get Fooled Again? Furthermore, what happened to “increased direct participation” as Ruth Crowell said was needed, and what happened to her interest in having 25% of 444 participants (or 111 participants) come on board? Why was there an initial rush in 5 weeks in July-August 2015 that pressured the CME Group to come up with a rudimentary system that could not handle central clearing, and yet 18 months later there has been no evolution of the system? Why was there mis-leading evidence from the LBMA, CME Group and Thomson Reuters in July-August 2014 that wider participation and central clearing would happen in the Silver auction and then these developments never happened? Who leaned on CME to back off on central clearing? Why is the joint statement from Thomson Reuters, the CME Group and the ‘Independent’ LBMS Silver Price Oversight Committee referring to wider participation and central clearing as if it was a fresh plan, when in fact it was the original plan in July – August 2014 that got pushed to one side. And why did it get pushed to one side. Cui bono? 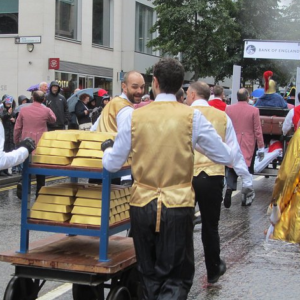 Why is the LBMA giving an advantage to the bullion bank participants in the LBMA Silver Price auction by perpetuating a system where direct participants are required to maintain bilateral credit limits? Where is the Financial Conduct Authority in all these developments and why has it not made any statement? Remember, the LBMA Silver Price is now a Regulated benchmark. Where are the Chinese banks that said that they wanted to become direct participants in the LBMA Silver Price auction? Which trading entity was putting massive and increasing sell orders into the midday Silver fixing on 28 January? These are just some of the questions that remain outstanding in what has surely been the most suspicious financial benchmark launch of all time.